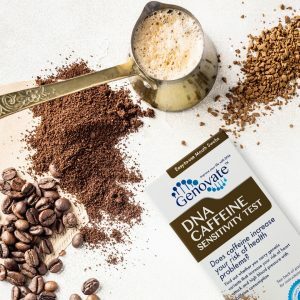 Home Lifestyle Food Sensitivities Did you know DNA determines your risk of lactose intolerance? 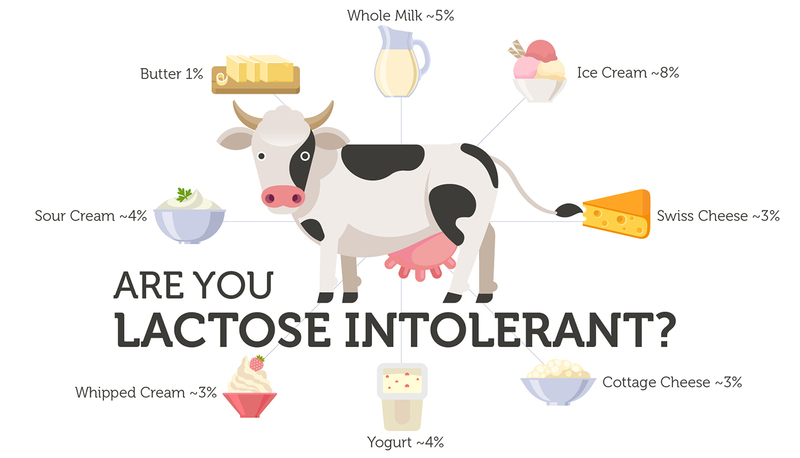 Did you know DNA determines your risk of lactose intolerance? Growing up, milk and butter were staples. In college, you feasted on Kraft dinner and extra cheesy pizza. But now, eating plain old yogurt leaves you bloated and uncomfortable. Is it possible you have developed lactose intolerance? Lactose is the main sugar found in dairy products. When we drink a glass of milk, our small intestine releases the lactase enzyme that is responsible for breaking down lactose. In the presence of lactase, milk sugars are appropriately broken down and absorbed. People who are lactose intolerant have very low levels of lactase. The undigested lactose becomes a great source of food for gas-producing bacteria in the gut, leading to classic symptoms like abdominal discomfort and bloating. What happens when you drink milk? Almost all of us are born with the ability to make lactase. But, once babies are weaned and start eating food, lactase levels often start to go down. By the time we reach adulthood, either very little or no lactase is made in our bodies. This is true 65% of the time. Close to 5 billion people around the world develop lactose intolerance at some point in their life. The rest of us are “lactase persistent” and have gained the ability to make the lactase enzyme well into adulthood. People who are lactase persistent carry special genetic changes in the MCM6 gene that turn the lactase on permanently, and have the luxury of indulging in dairy products forever. The story of lactase persistent MCM6 mutations dates back to the time in history, when hunter-gatherers became herders and farmers. We learned how to ferment milk, and dairy products became a dietary staple. This “milk revolution” brought about, and selected for, genetic changes that permanently turned on the lactase gene, keeping the enzyme levels high, even in adults. When crops failed and food became scarce, people who could survive on dairy became “fitter,” procreated more, and passed on these genetic changes to their children. 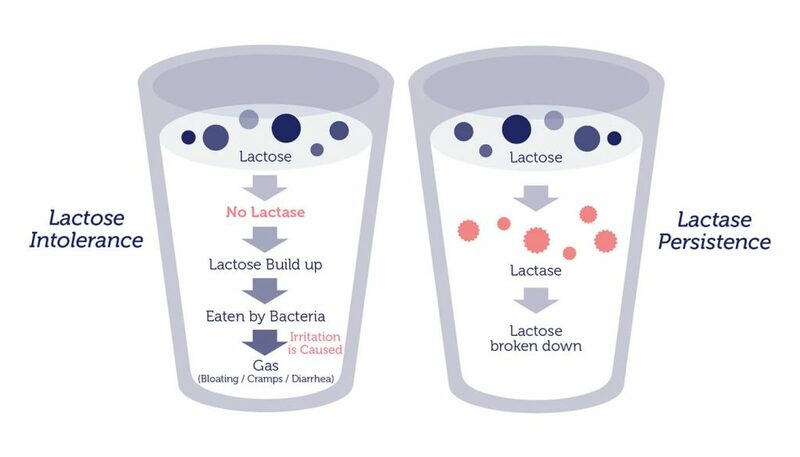 What is even more fascinating is that there is more than one mutation that makes us lactase persistent. These different genetic changes took place independently in different parts of the world, across Europe, Africa and the Middle East. All of them happened near the lactase gene, and had the same end result – lactase production into adulthood. The one common factor that linked these populations was their dependence on a dairy-based diet. 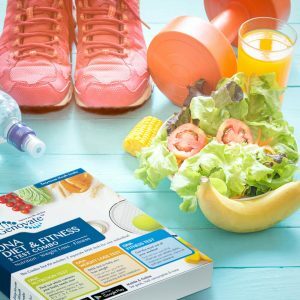 Since the appearance of the genetic changes, cultural differences in diet have influenced their prevalence. This is why more than 75% of Europeans can tolerate large amounts of dairy, compared to only 25% of people that are African descent or 5% of those with Asian ancestry. Lactose intolerance is the most common form of food sensitivity. But, cutting out milk may not be the best solution. Dairy products are an excellent source of calcium, and they help protect us from chronic diseases, like osteoporosis, hypertension, stroke and obesity. Luckily, there are many ways to manage lactose sensitivity, ranging from consuming dairy-products with lower lactose levels, to taking lactase pills and using alternative milk products supplemented with calcium and vitamins. 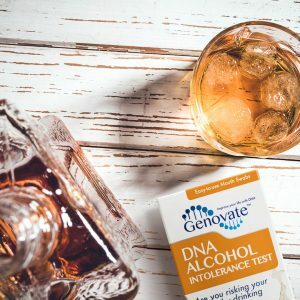 The next time when just the thought of ice cream, cream cheese or whipped cream makes you feel sick, maybe you can take comfort in the fact that lactose sensitivity is the rule and not the exception, and blame it all on your genes. Are your digestive symptoms due to lactose intolerance? 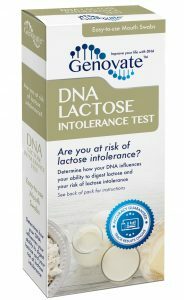 Find out with the DNA Lactose Intolerance Test. Previous articleDid you know the warrior gene is linked to aggression? Next articleDid you know you the Merovingians buried closely related people together?